Tungsten Carbide Rods|Carbide Factory|Carbide|Carbide Factory|Carbide|Carbide Rod|Carbide Ball|Tungsten Steel Mold-Zhejiang Jingxin Alloy Co., Ltd. Welcome: ZheJiang Jingxin Alloy Co.,Ltd. Product description: High-quality wear-resistant yl10.2 carbide bar is mainly used with milling cutters and drill bits. 1. 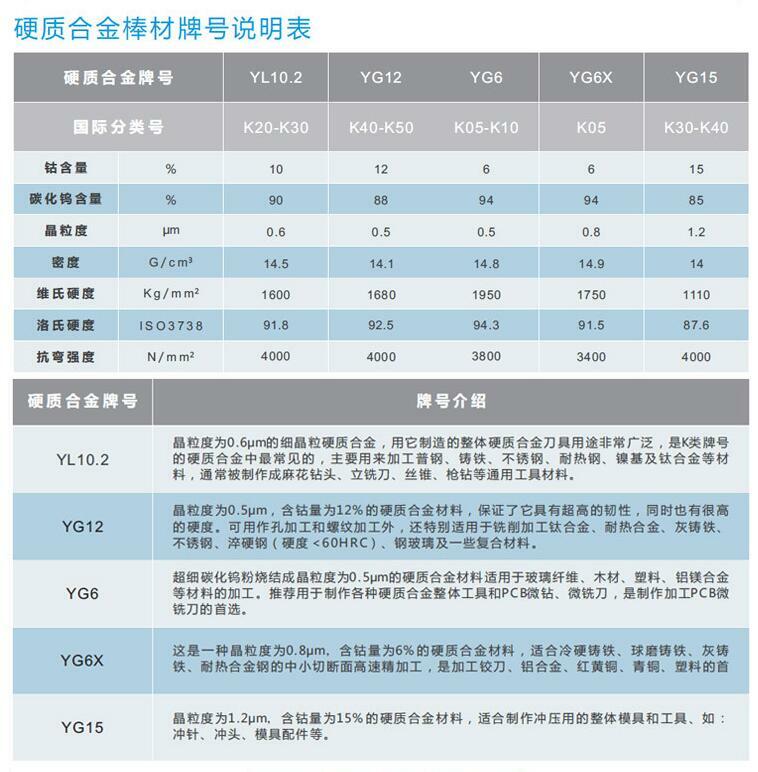 Low-pressure sintering technology is adopted, the quality is stable and reliable: the sintering pressure can reach 100 kg, the internal pores of the alloy can be effectively eliminated, and the high-hardness and high-strength blanks with good densification can be obtained. The advanced temperature control system can effectively reduce the quality fluctuation. 2, the use of overpressure automatic pressure relief extrusion equipment, all types of bars can be produced: the use of imported German automatic extrusion equipment, can be adjusted according to different requirements, is conducive to the production of different types of bars. 3, high-precision fine grinding of the bar, up to the mirror effect: the use of CNC grinding machine, has a very large polishing rate, can quickly remove the damage layer caused by polishing, improve the surface finish, up to the mirror effect. 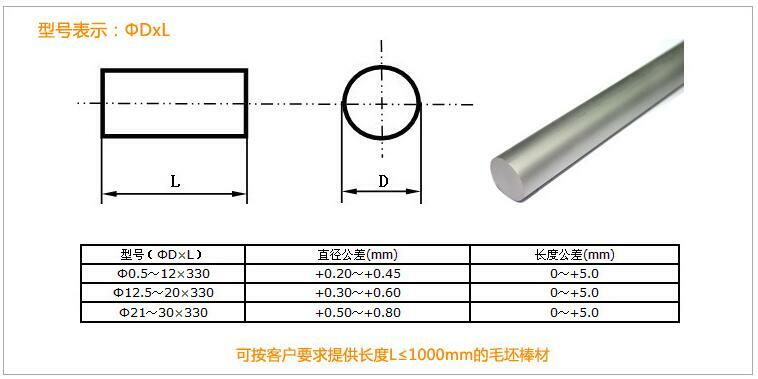 Precision grinding bar precision: diameter tolerance D ≤ ± 0.03 length tolerance L ≤ ± 0.5. The cemented carbide bar is a high hardness and high strength alloy material which is made of hard alloy tungsten steel (WC) as the main raw material, and other precious metals and pasting phases are pressed and sintered by powder metallurgy.